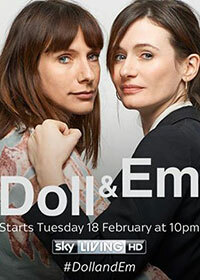 Doll & Em is a British comedy television series created by and starring Emily Mortimer (The Newsroom) and Dolly Wells (Noel Fielding’s Luxury Comedy). A six-episode first season was commissioned by Sky Living in 2013, which premiered on February 18, 2014. American cable network HBO acquired the series in September 2013, and premiered on March 19, 2014. 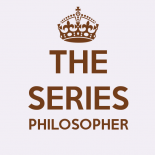 The series is directed and co-written by Azazel Jacobs. The simple premise of this original new sitcom is swiftly set up in a few opening shots: London waitress (Dolly) has row with boyfriend, curls up in bed, and makes a call. Cut to a glamorous press shoot in LA where Emily, a 40-year-old British actress gets a call from tearful Doll. Before we know it Doll has flown out to Em’s house in LA and the women (best friends since childhood, in real life too) decide she should stay to work as Em’s personal assistant.